Gasket Set Top End Triumph Unit 650 All Models. 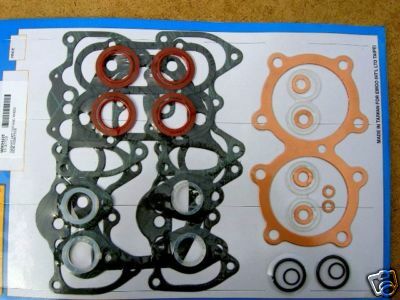 Gasket Set, Top End, Triumph Unit 650, All Models. This is a top end gasket, copper washer, and o-ring set, of very good quality, to fit all unit 650 Triumphs from 1963-1972. It comes with a copper head gasket. It is suitable for all unit models of T120/TR6 as all variations of rocker cover/ pushrod tube / manifold gaskets are included. This is a very useful set if you have a 9-stud top-end on a pre-unit engine, it saves you having to buy a full set. They are imported sets but are a very good fit and quality.